It’s Messiah season in Toronto. I understand there are other towns that present Handel’s oratorio, but does any city go quite as nuts as Toronto? Everywhere I turn it’s happening. I sang a bit at my church, a friend conducted some more at her church, and of course, then we all try to hear one of the big ensembles do it. But if you accept my crude mythology, there were opposite philosophies in place. While the TSO would play the piece in a bigger space with bigger forces (especially the Mendelssohn Choir) using modern tunings, Tafelmusik made it all a bit more effete, with their smaller more elaborated reading. Except that now there’s been cross-pollination. Tonight I heard the first TSO Messiah of the season led by Grant Llewellyn. If you judged by the tempi or the da capo elaborations you might have been confused, because much of what we heard tonight seemed historically informed. The orchestra and chorus roared through the evening fearlessly. I suppose we shouldn’t be surprised considering what conductors have been doing lately with modern orchestras. I think especially of Harry Bicket when he comes to conduct the COC orchestra, and makes them sound like a period ensemble. Yes the crowd did stand –and some even sang along—for the Hallelujah chorus. But I think the rules (some overly strict) governing concert behaviour could stand to be loosened. I believe the TSO crowd is unpretentious, out for a good time: and that’s what they found at Roy Thomson Hall tonight. The soprano announces the magical events of Christmas eve such as the angelic appearance, and begins Part III with the direct confession of “I know that My Redeemer liveth”. The bass sings some important announcements, especially “The trumpet shall sound”. Bass-baritone Philippe Sly displayed a lovely tone, wonderful musicianship even if at times his words weren’t fully clear. In contrast, Lawrence Wiliford made every consonant clear. His second utterance of “comfort ye” was a very original reading (or at least one I’ve never heard before), likely to induce the tranquility and peace he was exhorting us to feel. I saw Allyson McHardy sing Messiah with Tafelmusik a couple of years ago, and it was again marvelous, as she’s very comfortable with this music. I was sorry to hear that Jane Archibald is nursing a cold, as she was the voice I was most eager to hear tonight, a singer who has had great success in Toronto (Zerbinetta & Semele with the COC, and a Juno award-winning CD before that), and will be right back to take a starring role in a little over a month, her first Donna Anna in the COC’s Don Giovanni. We were grateful that she didn’t cancel, as it was great to see her up there, sounding quite lovely. It’s a Messiah full of highlights, accurately played and sung, and powerfully dramatic at this time of year. Handel fanatics shouldn’t hesitate. 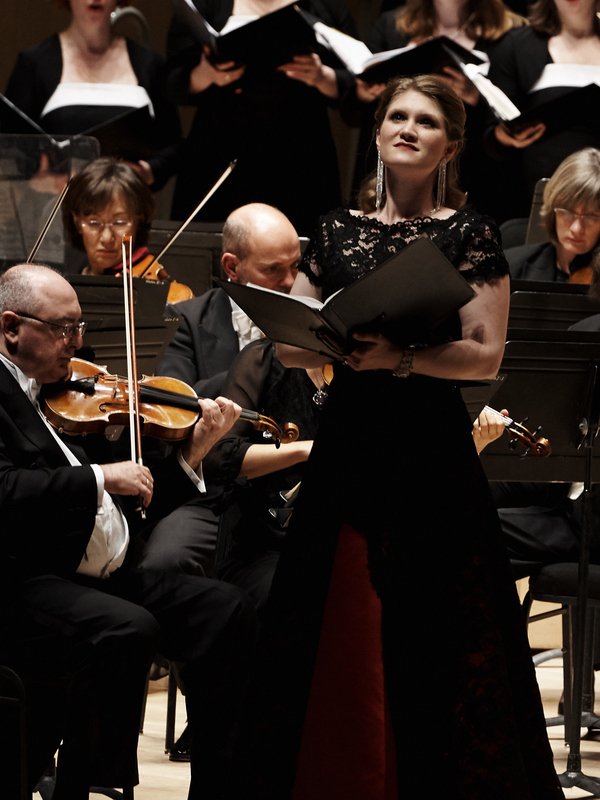 Handel’s Messiah continues with the Toronto Symphony at Roy Thomson Hall Dec 17, 19 & 20 at 8:00 pm, plus on the 21st at 3:00 pm.